What do you think is wrong, and what would you do next? 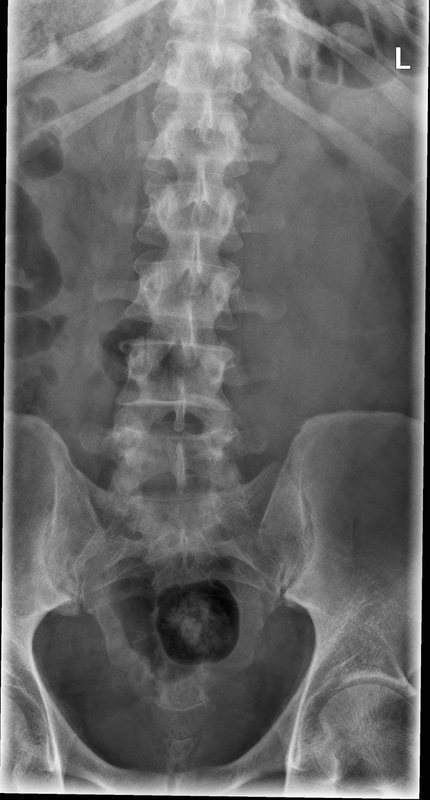 This confirms destruction of the T12 vertebral body, with sclerosis of the existing bone. 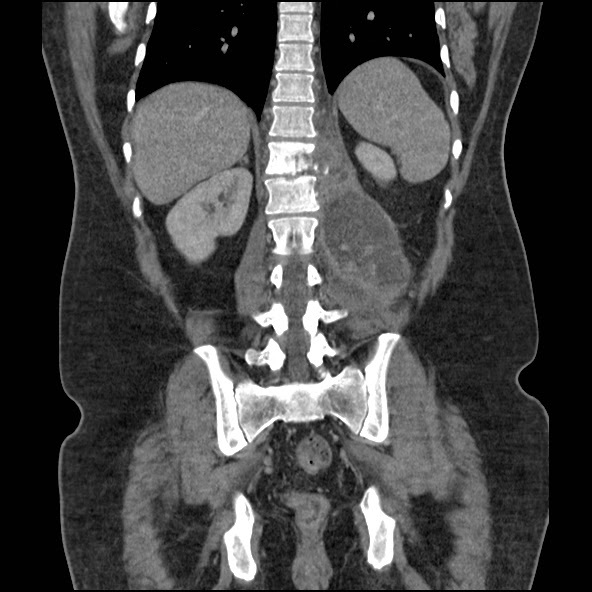 There is a large collection in the left retroperitoneal space. 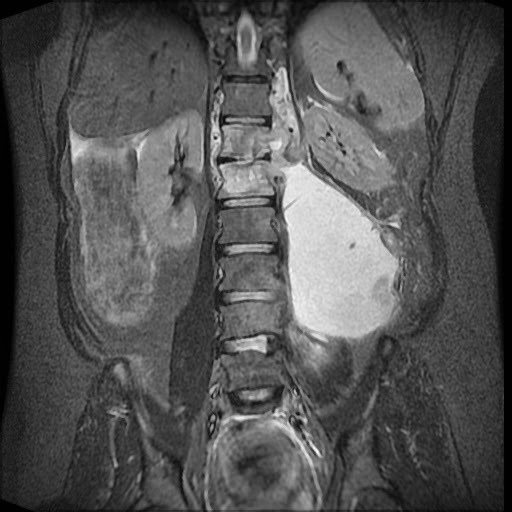 MRI confirmed the infection to originate from the T12-L1 intervertebral disc, with an enhancing epidural abscess compressing the spinal cord, as well as the large retroperitoneal abscess. 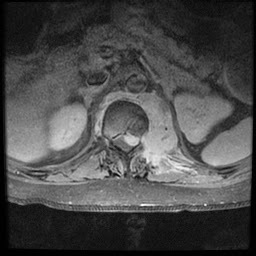 The MRI shows the bone oedema involving both the T12 and L1 vertebral bodies.